So here is Aditi: A young college graduate in India, with a literature degree, knowing that she wants to create change in the world. But what change exactly? Her experience of founding a social enterprise with her brother (while she was still studying), had provided her with lots of professional learning opportunities – but she didn’t feel really aligned. 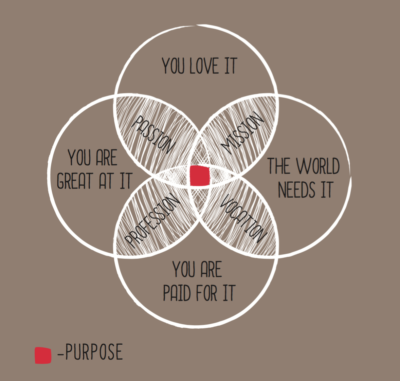 We don’t know about you – but while alignment may seem like a very luxurious concept to strive for when you are looking to get your basic needs met, we know how deep this question can burn in people from all walks of life – what is the work that you are meant to do? We all know that Hedgehog principle – find the intersection of what you are good at, what you love and what the world is ready to pay you for (and we would add, what the world needs from you). – Piece of cake, isn’t it? Aren’t we all looking for that golden bullet? So she did what many young people do if they can manage to: Take ridiculous long commutes to do work you love (mind you – Delhi traffic!) – as a volunteer. Teach for India provided her with a learning experience that saw her come alive, helped her check herself (running out of ideas after your first day when you think you have a never-ending supply is a great way to start putting more thought and work into preparation! ), and shaped who she is today. This experience provided her with a deep insight: Education is where she belongs. But – where exactly would she fit, with her particular strengths and skills set, to create the impact she wants to see in the world? 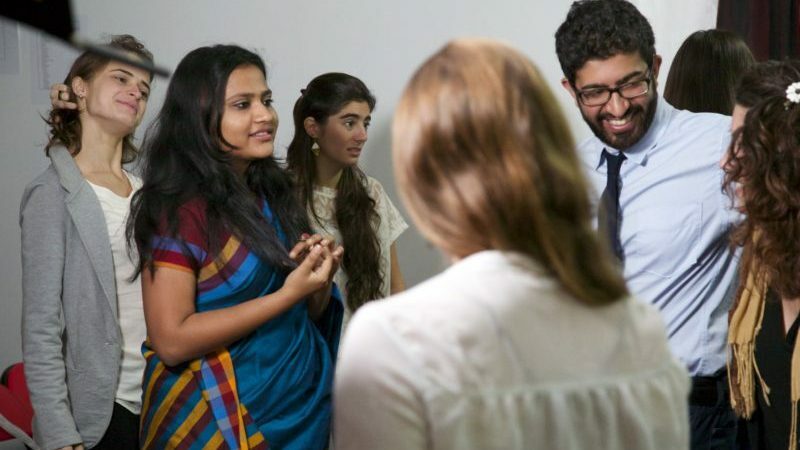 When she eventually landed a paying job with an organization leading educational technologies and assessments in India, Aditi was looking to explore the different aspects of the educational sector beyond teaching. However – diving head-first into work she found herself jaded and a bit disillusioned at the other side of her first year on the job: The disconnect between what she was doing on a daily basis and the impact she wanted to see was too far removed from each other. She was able to create a lot of value for herself, learn about edtech and the science of learning, and at the same time she felt disconnected from the real world. She found it hard to motivate herself, felt like she wasn’t challenged to perform to her highest potential and was letting herself down. She started questioning her own work and the value she was – or wasn’t – adding. What now? Ditch a paying job? Really? In a world in which you should be thankful if you have a job to begin with? And what were her alternatives? What would you do in such a situation? Imagine this: You work in the field you have a passion for. You have a paying job. You feel that there is more – you can give more – but you don’t exactly know how. Next month we will continue with Aditi’s story and share how she convinced her employers to give her a sabbatical to explore her itch for change at a time that felt very much like a crossroads to her. If you also want to create #1change in the world that revolves around education, please reach out to us and we are happy to connect you to Aditi or to other people in our network working in that field.